OYO 16916 Home Sunlit 2BHK Aldona Ferry Point is ideally located in the heart of Goa. A perfect choice for the business and leisure travellers, the hotel offers quality comfort at unbelievable prices. For any kind of assistance you need in relation to your stay, our skilled and friendly staff is just a call away. 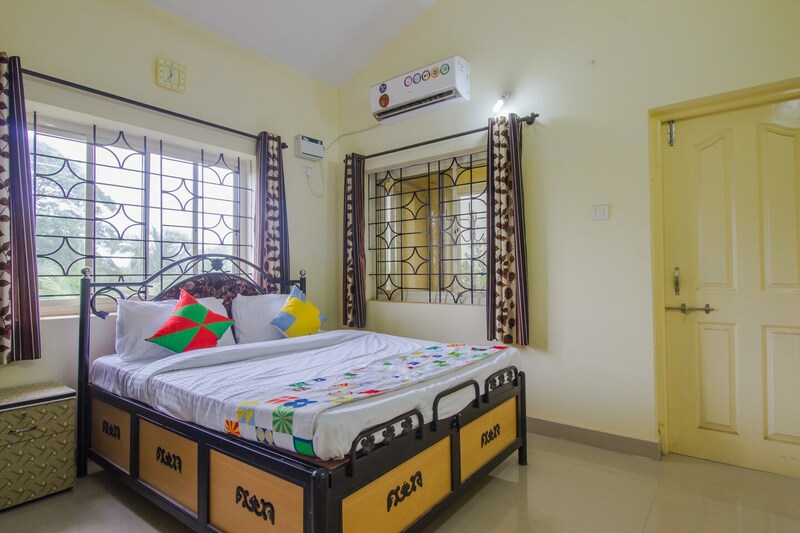 From regular to exceptional, you will find all the amenities such as Mini Fridge, Power backup, CCTV Cameras in your room ensuring you have a pleasant stay. Soak in the culture of the city while exploring its top attractions like Casino Paradise, St. Cajetan Church and Adil Shah Palace Gateway. In case you run out of cash midst your shopping spree, visit HDFC ATM, HDFC Bank and Canara Bank ATM - Aldona located nearby.